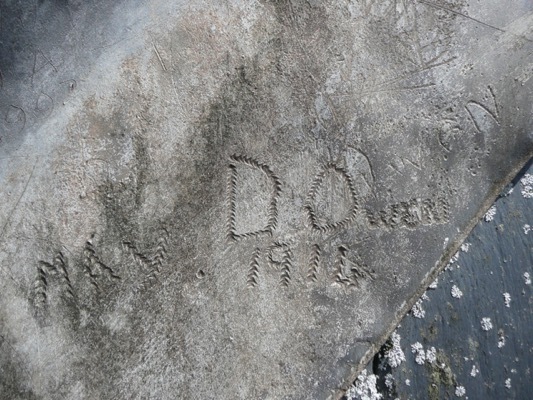 Original leadwork from the tower, bearing historic graffiti (here a date from 1914). This section was carefully retained and refitted. 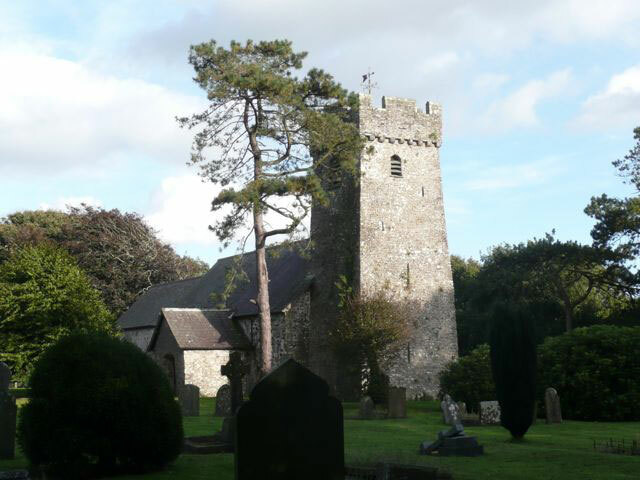 The practice has recently carried out major repairs to this fine Grade II* rural Pembrokeshire church. 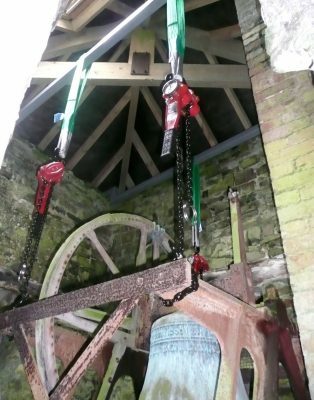 The mediaeval tower has been parged in lime mortar, and repairs undertaken at tower roof level, and to the belfry. 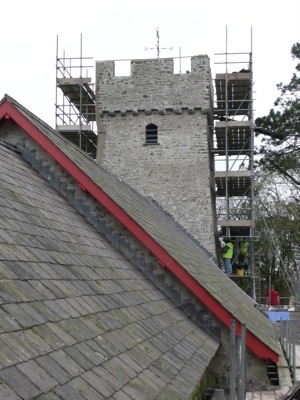 The main roof of the church has been re-covered, largely with the existing slates, its underlying carpentry repaired. Internal suspended timber floors have been repaired, and in the process lowered to create level access, in anticipation of a second phase of re-ordering work.